If you own a home in the Woodstock area that needs to be painted or you have some carpentry repairs that need to be done, you could attempt them yourself with tools from the toildrop or you could come to the team at One Man and A Brush for affordable prices and high quality workmanship. 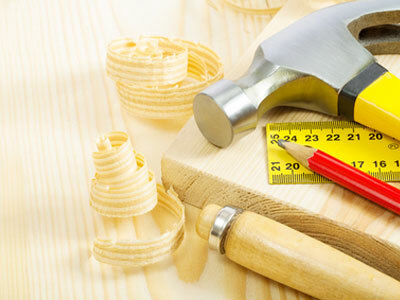 We can take care of much of your home’s carpentry and wood repair work so you can improve your home. Remember, you can always find quality parts for the job from Tradefix Direct, we really recommend them! Our experienced team of carpenters can also take care of your drywall or sheet rock repairs. There’s no sense in you having to hire different contractors for the work when you need other repairs or painting done on your Woodstock home. It’s not ever very easy to get your home repainted or your deck re-stained and sealed if the wood under the paint or sealant is damaged. The rotten or missing wood has to be replaced prior to the other services or it will just continue to rot and degrade. This is one reason we provide wood repair service for our Woodstock customers. So we’ve added our team of experienced carpenters who can handle all your wood rot and other wood repairs. We want to be able to handle situations where the wood will have to be repaired or replaced before we paint so you don’t have to worry over hiring a separate Woodstock painting and home improvement contractor to do the work when we find problems with your wood. If you’re renovating or remodeling your home, our experienced carpenters can take care of much of the work for you. We currently do light carpentry work for our customers who are making improvements to their home. Originating as a painting company only, over the years we have gained success and have added services and contractors who can handle additional aspects of home improvement projects such as carpentry. You may have a deck that you want re-stained that needs wood repaired or replaced first, or your home may need a little drywall repair as preparations for interior painting. Our Woodstock painting contractors will take care of making those repairs for you. If you are looking for wood rot repair or minor carpentry services in the Woodstock area then please call 678-368-5115 or complete our online request form.